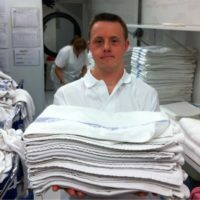 In Down Catalonia, we promote the inclusion of people with intellectual disabilities in the labor market and we do so with “Trabajo con Apoyo” (Work with Support) methodology. 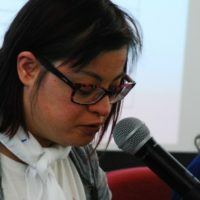 Women with down syndrome face double discrimination because of their gender and their disability. 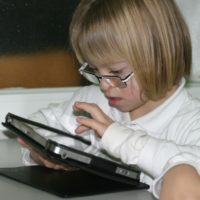 In Down Catalonia, we defend the personal autonomy and self-determination of people with Down syndrome. Tell us who you are, what you like to do, and how you think you can help us out. 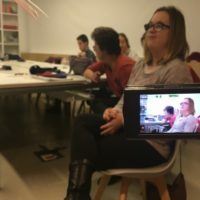 In Down Catalunya we have a modest bag of volunteers who are essential to our performance, and that’s why for us it’s always a joy to see it grow. Some of them accompany our youngsters in their activities, others collaborate with the entity in organizational and logistical issues. And you, what is your proposal? If you represent a firm, no matter its size, you can become a partner company of Down Catalunya. Just write us and we will explore the best way to collaborate. Our needs are many (sponsorships, free services, in-kind contributions, a new office…), but also our capabilities. Not only we will make sure to proclaim this collaboration all over the world, but also, if the opportunity arises, we can find among our youngsters volunteers for any act or event your business may organize. To be a friend of Down Catalunya is as simple as to decide you want to support our work with an annual economic contribution of the amount that you yourself decide. From here, you get reported any activity that is to be carried out, we count on your opinion and empathy, we open the door whenever you want to check something, and if there is a gift to be given you are the first on the line.